I stumbled across an Fbodywharehouse video that says the side mirror gaskets must be installed with the thick side up, thin side down. Sure enough mine were the opposite, I presume from when the car was painted 20+ yrs ago, so I rotate accordingly but now it just doesn't look right. Standing outside the car it's not too noticeable but once I sit in the car the mirrors just seem like they're dangling off the door panel. 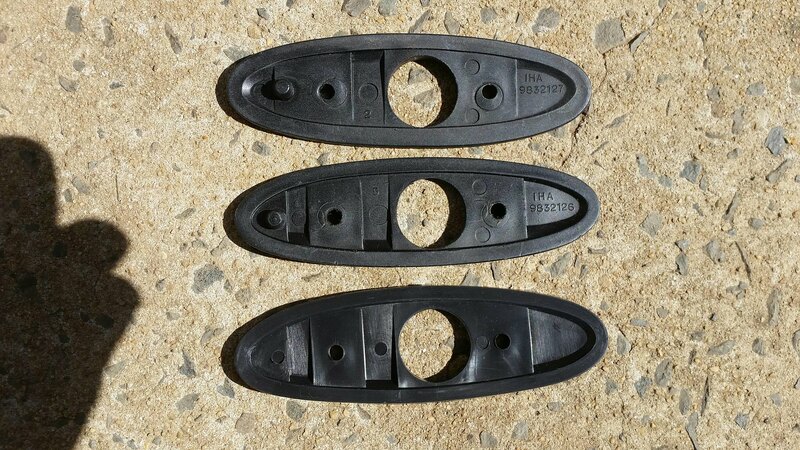 Can someone confirm the correct way to install these plastic gaskets? Re: Side Mirror Gasket orientation?? Not sure what the thick side / thin side is describing. (???) But on mine the outer lip (ridge) faced out. It's there to hide the edge at the base of the mirror. 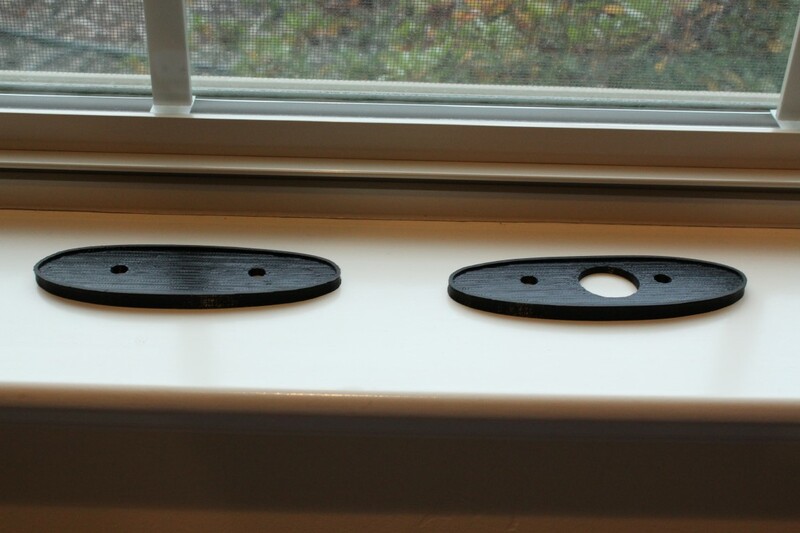 If you look closely at the gasket edge (the area that's exposed after installing the mirror) it is not the same thickness all the way around the mirror. So depending on how it's installed it will change the distance between mirror and door glass. Yes, I have the raised edge of the gasket pointed toward the mirror side and the flat part of gasket against the door panel. Yes, originally there is a LH (9832127) and RH (9832126) version. More recently the repros have been made using one side to suit both and it fits neither side correctly with holes relocated, locating lugs removed and thickness changed to be more equal which also means mirrors don't mount same angle and don't have the adjustment that could be created with the raised edge. The mirror mounts onto the raised edge, not inside it, normally. The gaskets I have are original so do they get mounted with the wider side facing up? Ok that's how I reinstalled them but it just doesn't look right, can I trouble someone to measure the gap between door glass and closest part of mirror just to put this to rest? 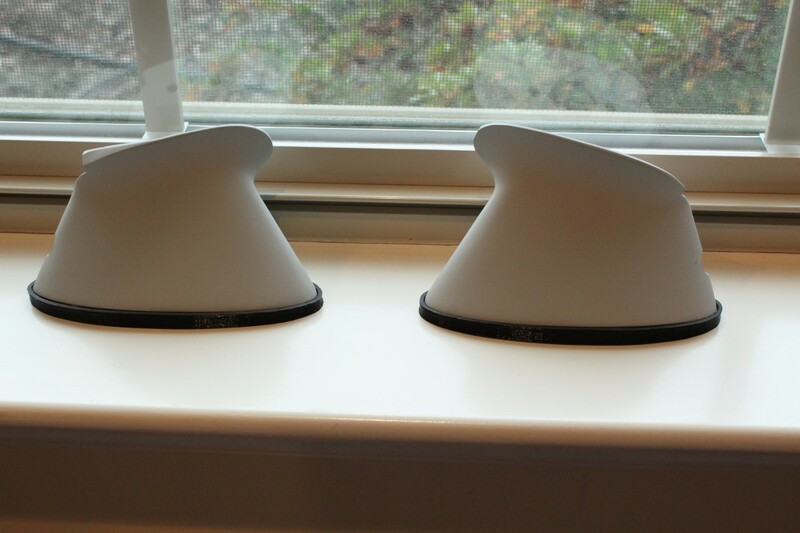 They can be tilted either way by mounting the mirror support on or inside either of the raised edges on the gasket. You may have to loosen the mounting bracket to allow you to slide it about to check. There was a post on here some time ago about the same thing. I have 4 79's, and the shorter side of the gasket is to the top on them all. That's the only way I think they look right. The gaskets don't seem to fit that well from the factory, since you'd think the mirror stand would sit all the way inside the gasket all the way around, but they usually don't. It's not easy to measure accurately between the mirror head and the raised door glass, but it looks about 3/4". Thanks Grand, I knew this just wasn't right, man I even had to slot out the holes in the gaskets to get the mirror to sit within the raised edge what a waste of time. Don't you hate it when when you get misinformed (specially by a reputable source) ??? ?, at least I got to clean and wax underneath the gasket. Sorry for confusion if that's the case, my car hasn't had mirrors for 10 yrs but it should be clear if they are in front of you, especially the way to get them to mount with the raised edge. There's a LH and RH gasket, they have different pin locations, you can't get them wrong and they are not interchangeable. So based on that it will tell which way is up or down. If they are interchangeable then they are likely the repros, although they don't really have a thicker side. If you have trouble mounting it on the gasket in the right area when it tightens the screw then you need to move the mounting bracket that clamps it a little. Have it firm, move mirror to where you want, remove and tighten mount onto door. In hindsight the problem was that I just presumed the guy in the Fbodywarehouse video knew what he was talking about so when I looked at mine and seen the opposite of what he said, well the tools came out and here we are today talking about it. If I hadn't watched that bloody video and was installing mirrors for the first time then I'm pretty sure that eventually I would have figured out the non-interchangeability of the gaskets, ask a few questions here and bam! Well thanks for the part numbers Aus cause when I took the mirrors off today I noticed both left and right are the same number .....127 and the locating pins were shaved off. I'm the original owner so I don't think it was built this way but rather someone from the paint shop 20 yrs ago lost one and substitued another one laying around the shop. The other evidence is the 2 screw holes must of striped when they tried to make it fit with the wrong gasket so they used larger screws. 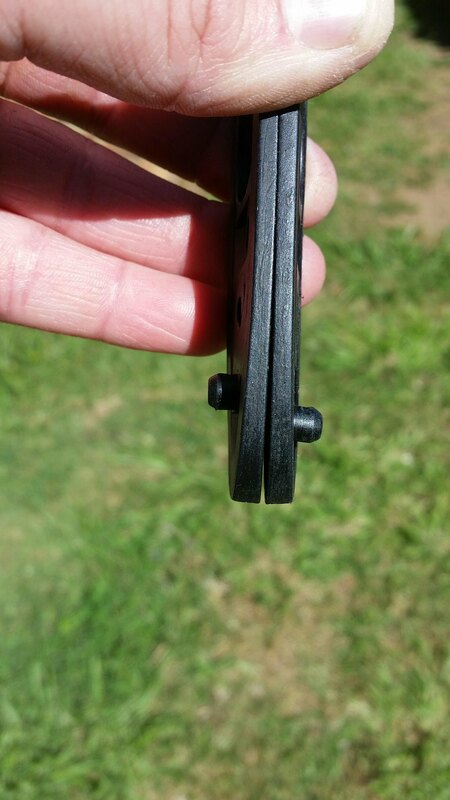 After closer examination I noticed the screw that mounts the mirror to the bracket would not fully thread in because the larger bracket mounting screw they used was partially in it's path. Took half a day but I made it work. Don't blame the paint shop My T/A came from factory with two ...127 gaskets. On the drivers side, the locating pin was also shaved off. Thanks for letting me know, I don't feel so bad now. At some point in more recent years on of the repros was released that appeared to be made directly from an original GM piece, it had the original number as well as new number to show it suited both. Possibly a re-run by GM saving money on two parts. I had one somewhere. Here's the original GM LH (9832127) and RH (9832126) versions as well as the OER repro to suit both sides, it has no markings at all. You can see they copied one piece and removed the locating pin. Based on pics only, since I can't check my car as elsewhere, the thin edge would face up. Of course, if no pin then flip to suit if needed. Here's why there's a LH and RH piece and showing the thin and thick sides. And why the stock GM gaskets can't be swapped, the locating pins are offset. The pics are a great help to understanding this. 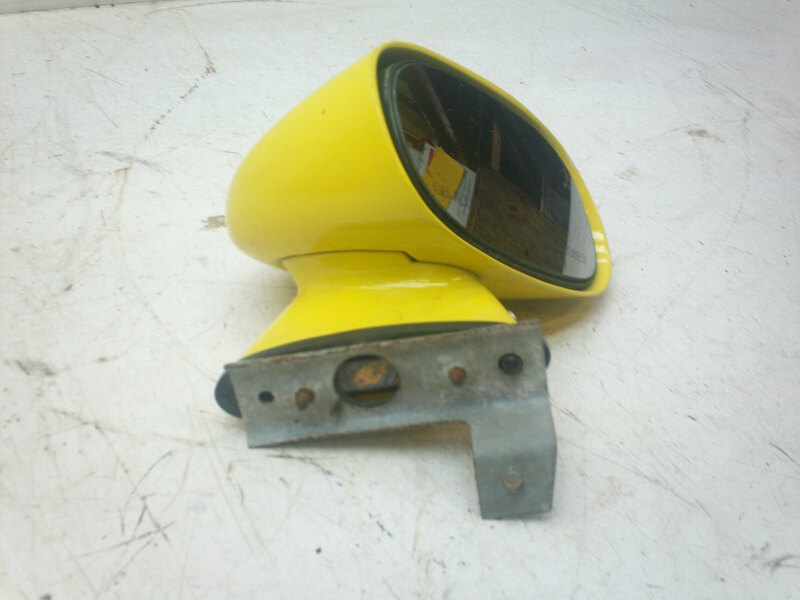 What I found was that the LH (driver side) mirror fit completely within the raised edge (gasket #127) and the RH (pass side) mirror using the same gasket #127 (no locating pins) had to be installed with the bottom edge of the mirror siting ontop of the raised edge of gasket on the thick side. 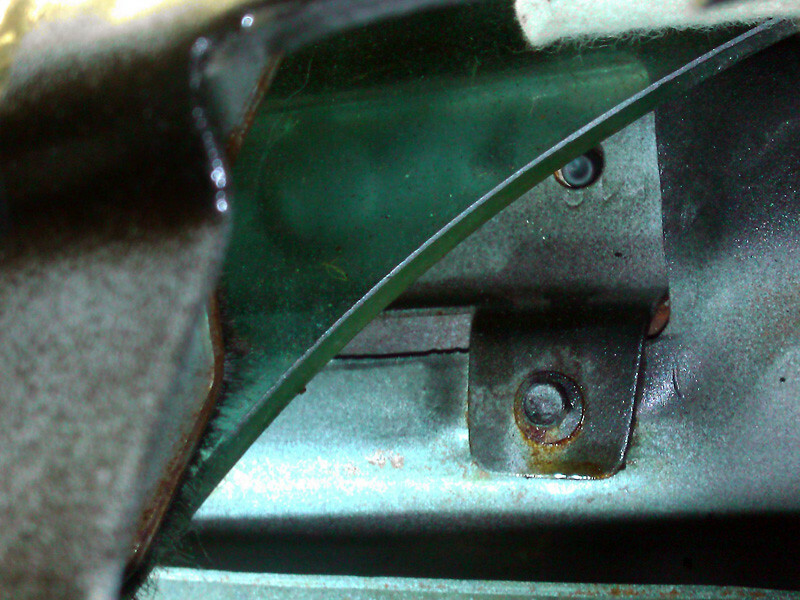 Any repair tips out there to fix the stripped holes on the pass side door panel? Yes, here's a little trick that I learned a long time ago for tightening up a loose screw hole in sheet metal, without having to weld. Take a cotter pin and shove it sideways, over the edge of the hole. The thickness of the head of the cotter pin inside the hole makes the hole effectively smaller, and the screw will tighten. You may have to shorten one or both legs of the cotter pin to aid in installation into the hole or to prevent interference with something else. Aim the cotter pin so the exposed leg will be concealed by the gasket of course. There are different sizes of cotter pins, so you can tailor the size and tightness of the hole depending on which size cotter pin you use. It's a quick and easy thing to do. Thats a great solution, thanks Grand. You got another tip for a stuck mirror on the pass side, I can't move it around to adjust it. Be aware that the mirror base mounts don't screw into the door sheetmetal but into a plate mounted on the inside begind the glass. I guess with some effort it could be replaced or repaired. Larger screws shouldn't matter so long as holes work and not too long to foul anything inside. My pass side with the wrong gasket had the screws through the door skin and no mounting plate inside the door. Is that mounting plate welded on? 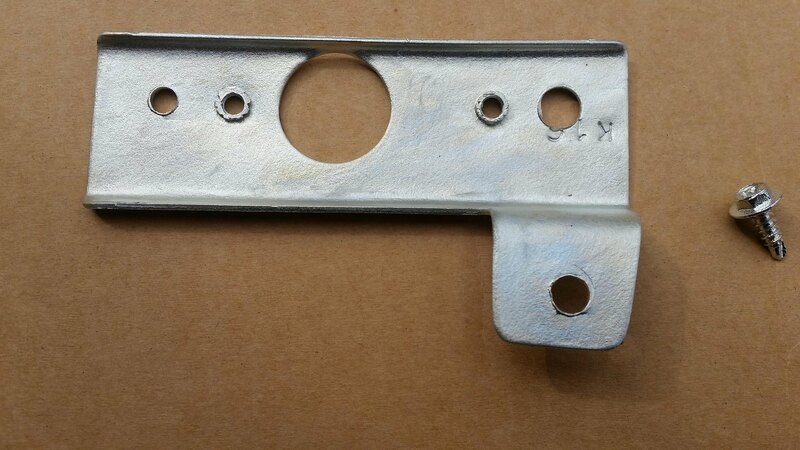 Inner door mounting plate, single bolt to hold in place, mirror mount sandwich it together. You can see plastic gasket pin poking through it. Those pics are making me wonder what happened to my bracket? I can only point the finger again at the body shop (even though I may be wrong about my previous paint shop finger pointing comment). I just can't see the factory not installing this bracket. Hey maybe it dropped inside the door and is still there, gotta check this weekend. Aus, thanks a bunch for taking the time to post those pics. No worries, i learned something new so it wasn't a total waste of time. I checked inside the door hoping to find the missing bracket, no luck however I think I know what happened. Found the bracket bolt snapped off in the hole and then recalled the door skin was replaced shortly after buying the car because my brother hit it in the driveway with our parent's car. Took it back to the dealer where a friend of mine was managing the body shop, he arranged for the skin to be replace in lieu of repaired. Odds are they snapped the screw, tossed the bracket and used larger screws through the door skin to secure the mirror. I tried getting the broken screw out but it's a wierd angle, the glass is partially interfering and the pliers kept slipping off the screw tip. I'd love to get that bracket back in there. Makes sense, what a pain. All it does really is hold the bracket with threaded holes in place while mirrors are off and not fall down, so you could even tack a weld or similar but it'd be handy drill and tap it somehow without going...too far! I agree this aspect of mounting the bullet mirrors is at the very least, confusing. I'm the original owner (79) and still have the original gaskets. These are LH and RH. You know what, neither fits well. It's embarrassing to have a car on display when the fit of hood, and body panels shows uneven gaps and poorly aligned doors etc. I'm restoring my 79 TA WS6 to become a top notch show car and I'm having a devil of a time with fit--trying to make it better than factory. I'll be tackling the bullet mirror mounting problem soon (I hope) and I'll post picts as I get into it. I purchased a pair of reproduction gaskets and discovered the same issue, the fitment is ridiculously bad. 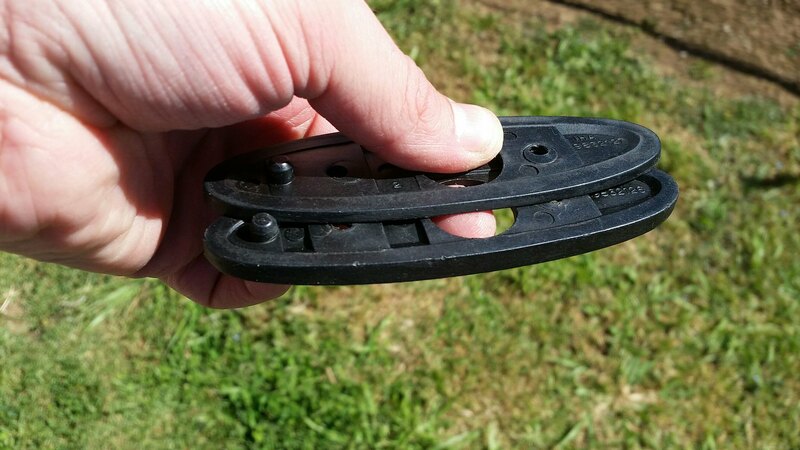 It's amazing that such a simple part can't be designed and manufactured properly. So I designed a pair of my own and 3D printed them. These have a lip that fits all around the base unlike the repo set which was too narrow to fit around all sides. Note that these were created to fit the OEM mirrors. No guarantee on using them with the reproduction mirrors. If you do print your own be sure to print in ABS, not PLA which will dissolve in the weather. Another benefit besides proper fitment is that you can print these in any color that matches your paint. Here's some photos. There was a little post processing done to lightly sand off the layer stepping on the top lip due to the curvature of the part. Regarding the orientation (this thread's original question), and the consensus that they go narrow side up/wide side down. I was at a Cars and Coffee today and happened to notice the mirror gaskets on a Camaro. Turns out that the door skins on a 2nd gen Camaro are at a different angle where the mirror sits, and the gasket is used with the wide side up/narrow side down. This is the opposite of how these are used on a 2nd gen Firebird. Since the repros are supposed to be universal fit for Firebird and Camaro, this is probably why there is confusion on this topic. For that to be the case, the holes in the door for the molded lug need to also be different. The inner bracket would also need to be different. If using original gaskets and doors then they really only go one way. GM already has a listing of Left and Right, you can't flip them over or back to front unless other changes. The repros are almost the opposite, they go either way and neither is great or correct. The rest is up to if you install the mirror stalk on the ledge or inside the ledge border. Maybe someone can compare door skin holes but I'd say unlikely, it doesn't make sense to be different, but weirder things have happened. Extra holes do exist but are they even large enough or the right offset. If you look at the inner mounting bracket above, it has extra hole but it's too small for the raised lug to fit it, even if at correct point.